Toothbrushes should be done after breakfast and before bed at night, with a duration of two minutes ended with mouthwash once. If the habit is a good toothbrush you've run but still hollow teeth, how to brush your teeth could be wrong. 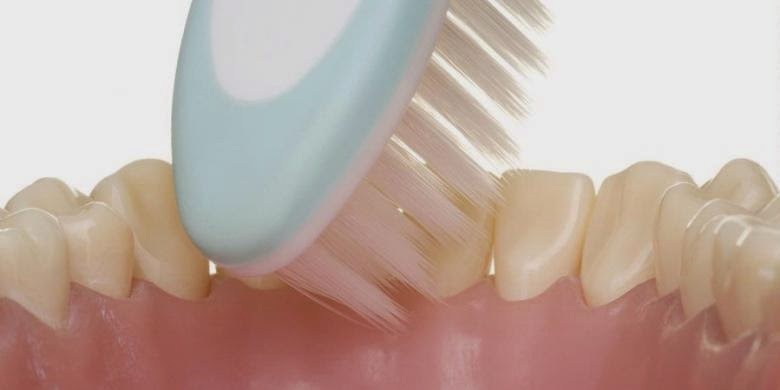 Peter Andreas, Head of the Department of Dental Public Health and Preventive Dentistry, University of Indonesia said that 90 percent of people are already doing regular toothbrush to brush your teeth right time. However, 2.8 per cent one way of implementing a good toothbrush. "One way to brush your teeth causing cavities," Peter said in Jakarta, Thursday (20/03/2014). Peter said than toothbrushes in the morning and evening, make it a habit to rinse after eating. How good toothbrush is also worth noting, that is not too fast so that it can lift a maximum residual impurities even in remote parts though. The use of brushes and toothpaste also needs to be taken next. Use age-appropriate toothbrush. This means do not use adult toothbrush in children, because the tip of the brush that is too large will be difficult for the child reaches the hard to reach such as molars. If the teeth do not clean the maximum, various oral and dental problems can emerge, one of which cavities. The selection and use of toothpaste is also important. Toothpaste to contain substances that can maximize cleaning in hard to reach areas have a role in maintaining dental health. "The use of toothpaste is also not too much, enough for seed corn so not all the toothbrush," said Peter.